For a configuration with two walls constituting an angle, adapted wall fixtures are necessary. 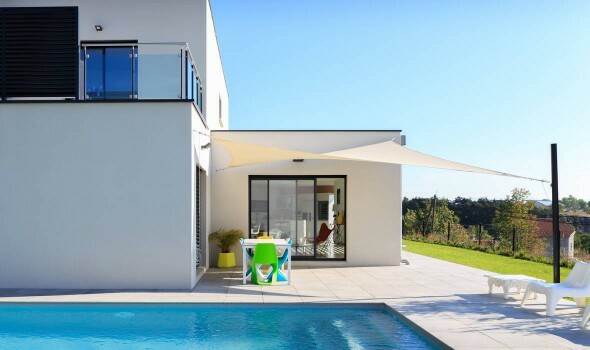 Espace Ombrage makes available a pre-conceived kit composed of 3 mural fixtures that will allow you to easily tighten your triangular shade sail. 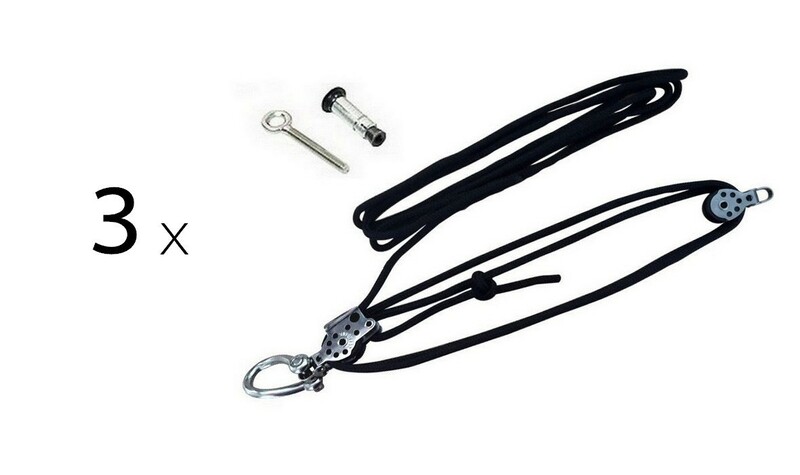 This fixture kit contains all the necessary material to rapidly, easily, and safely fix your shade sail between walls. It leaves a 30 cm to 2m50 space between the anchor points and ensures an excellent tension. Its nautical system (rope and pulleys) allows to install and dismantle your shade sail rapidly . 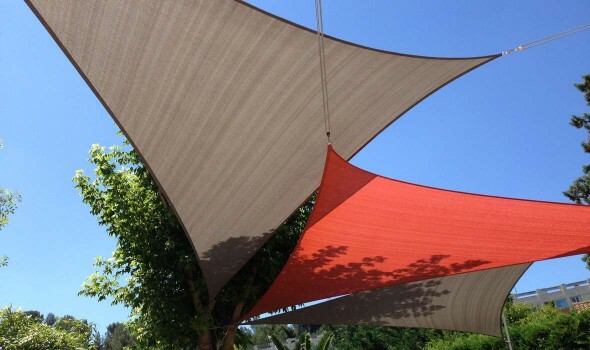 The reinforced fixtures are recommended for the Acryl 300 and Australe 340 shade sails that have heavier fabric. They contain double pulleys that facilitate the sail tension and make the installation more resistant. Plan at least a 45 cm tension margin at each extremity of your shade sail.